To behave, or not to behave; that is the question. A tract to engage Christians to think. They have been deceived by the dragon in many ways, and one of them is the idea that Sun-day is “holy”. 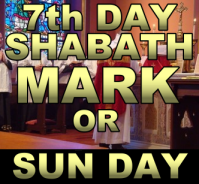 Without someone to teach them the truth, they have little hope of learning how the tradition of Sun-day came to supersede the 7th day Shabath, the day blessed by Yahuah from the foundation of the world. 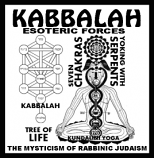 The sign of the Eternal Covenant, Shabath, has been substituted with a counterfeit MARK in the forehead and right hand of the beast’s servants. Identifying the mark involves a riddle. Those marked by the beast can buy and sell. Those who do not buy and sell on the 7th day of each week are marked as Yahuah’s servants. The anti-Semitism of the church fathers has influenced the interpretation of key verses in Scripture. Yahukanon identified the beast in a coded-riddle using the sum of the numerals of Rome (DCLXVI, totaling 666). The MARK of this beast’s authority is, by it’s own admission, recognized by attributing devotion to the Day of the Sun. You can print this tract on one sheet of paper, double-sided.